A look into Sanju’s released music composed by AR Rahman! Sanju is Ranbir Kapoor’s take on Sanjay Dutt: actor, villain and so many other things over a long and successful career. Audiences have been looking forward to seeing this biopic directed by Rajkumar Hirani and produced under his and Vidhu Vinod Chopra’s production banner. It’s music direction is being lead by AR Rahman with contributions from Sanjay Wandrekar and Rohan Rohan. Let’s see what the early release songs are like. The video makes clear that Sunil Dutt was not convinced of Sanju’s abilities as a lip-syncer. Thus, we have Main ‘Badhiya Tu Bhi Badhiya’. A parody song of old times music, Sonu Nigam and Sunidhi Chauhan wind back the clock to allow Ranbir to lip sync a song to prove his dad wrong. A harmonium and synth sheenai round off this melodious re-hash. This is the bedroom singer done Bollywood style and everyone seems to be having a lot of fun. Looking forward to seeing the whole song once available! ‘Kar Har Maidaan Fateh’ is all about inner strength. Some of it seems to come from Manish Koirala playing as Ranbir’s mother but there is a lot of internal fight going on as Sanju seeks to rehabilitate himself from a drug habit. Very much a power song with Sukhwinder Singh and Shreya Ghosal giving it their all with a constant power performance from an electric guitar for backup. Tabla on top of a drum kit to drive home the point, this song seems to be stolen by motherhood thanks to Shreya’s stunning ending solo. So far, we only have ‘Ruby Ruby’ to end on. A mysterious opening with a background chorus that are barely audible. This is a song of desperation: there is a want and need for Ruby. Backed up by electric guitar, drums and bongo for flourishes there is almost anger at the apparent loss of Ruby. 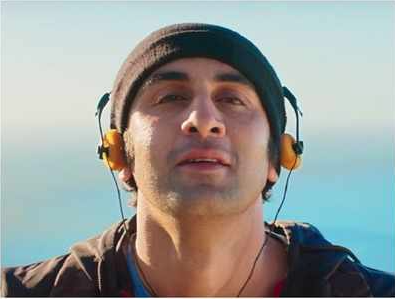 In true Sanju style there are no tears shed but Ruby seems to be getting away from him. We are certainly continuing to look forward to the rest of this album, if there is more, as its already looking strong. We can’t wait to see these play within the film! There is something here for everyone, just like Sanjay Dutt himself: a man for all people. Sanju releases, today, 29th June. 16 queries in 0.471 seconds.